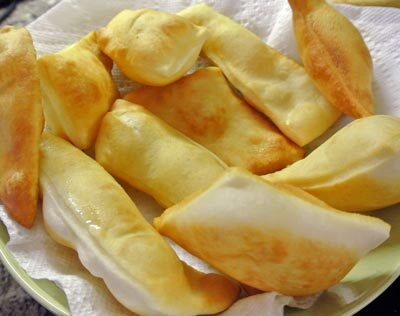 I looked online to find a good translation for this magic plate and I think that Fried Dough Puffs is the best one... but what is exactly Gnocco Fritto? First, it has nothing to do with gnocchi, it is not a first course but more of a one-plate-meal (or let's say an appetizer if you serve it in very small portions). The concept of the meal is to make tons of small Gnocchi Fritti, have cold cuts and cheese to eat with them, and drink a good glass of wine. 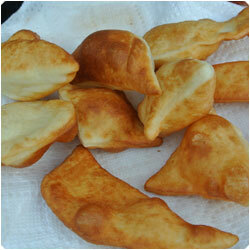 The dough of Gnocco Fritto is similar to the bread dough: it is made with flour, yeast, milk and olive oil. 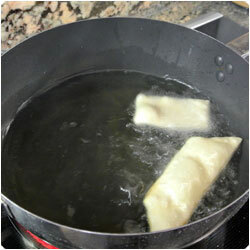 Yes, "fritto" means fried, in this case deep fried, ok, it is not the kind of dish that your doctor would recommend, but it is not a super heavy dish cause it fries for a very short time and the dough is too thin to absorb a lot of oil. Gnocco Fritto is an Italian traditional dish of the Emilia-Romagna region, where also tagliatelle and the real Parmesan come from! 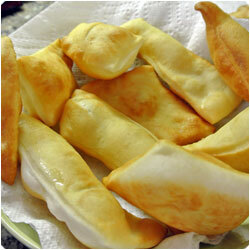 It has different names depending on the cities in this region, but I guess Gnocco Fritto is one of the most known. 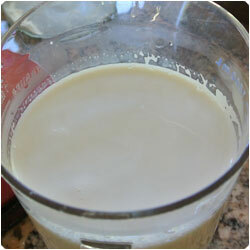 Warm up the milk in the microwave and add the yeast. 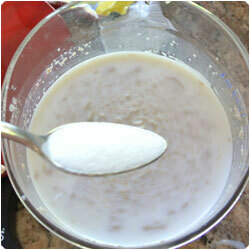 Mix it and add one teaspoon of sugar. 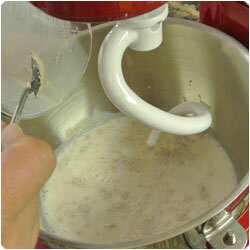 Put the milk mixtuer in a standing mixer bowl and start to knead slowing. 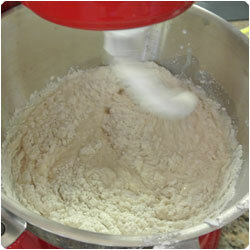 Add the flour spoon by spoon making sure lumps are not forming. 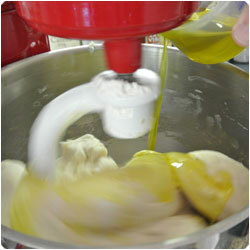 When you add about 3/4 of the flour add slowly the olive oil. 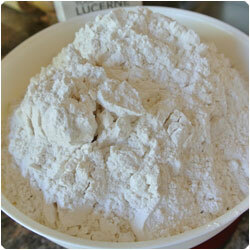 Add one teaspoon of salt and add the rest of the flour. 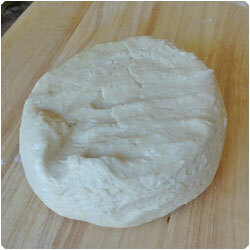 Continue to mix until you get a soft and smooth dough. You should see a short video playing, to see how we made it. If you don't see it, click on the video square. 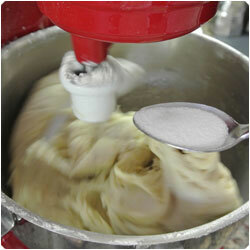 If the dough is too hard for your mixer, put the dough on a working surface and knead with your hands. 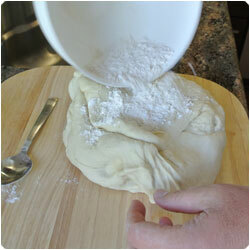 Once you are done kneading, place the dough in a bowl covered with a kitchen towel (or leave it on the working surface covered with a plastic wrap) and let it rest at room temperature for one hour. You should see a short video playing, to see how we made it. If you don't see it, click on the video square. 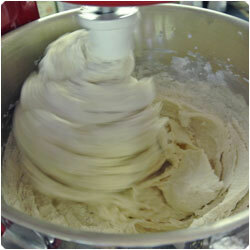 When the dough is well risen, cut it in small pieces (bis as a fist) and make them flat with a rolling pin (about 3-5 mm thickness). 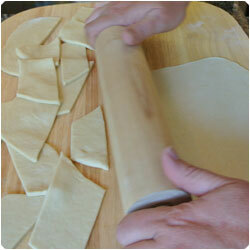 Cut it with a knife or a pizza roll into randon shapes (5cm x 8cm to have an idea). 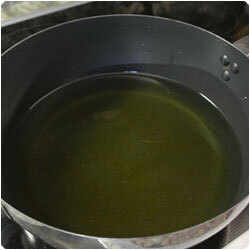 Warm up 3 fingers of canola oil in a pan. 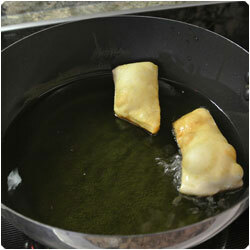 To check if the oil is at the right temperature (180°C -350F) try to fry a small piece of dough. 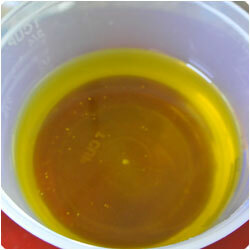 It's ready when it starts to blow as soon as it touches the oil but it doesn't burn. 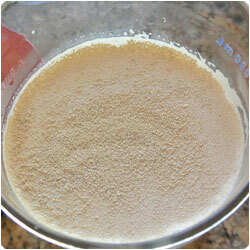 You want the gnocco fritto to be light brown. You should see a short video playing, to see how we made it. If you don't see it, click on the video square. 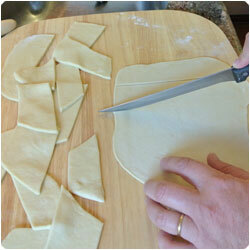 Flip the pieces to cook on both sides. 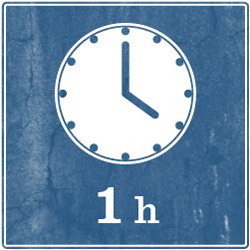 It usually take less than a minute to be ready. 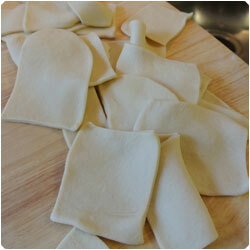 Let the gnocco fritto cool down a bit on a paper towel before to serve. You should see a short video playing, to see how we made it. If you don't see it, click on the video square. 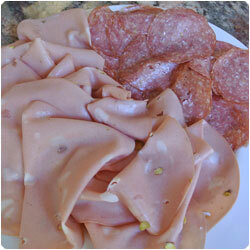 Serve warm with your favorite cold cuts and/or cheeses. Don't know how to enjoy it? Look at the video! 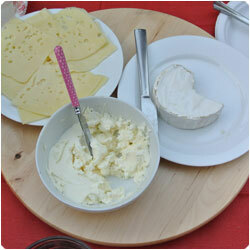 Open your gnocco fritto and fill it with meat or cheese. You should see a short video playing, to see how we made it. If you don't see it, click on the video square. You should see a short video playing, to see how we made it. If you don't see it, click on the video square.